What do you think are the most exciting upcoming opportunities for peace and disarmament in the region? What are the greatest threats we should be mobilising around? How do we build connections and capacity to create a more vibrant movement for peace and justice? 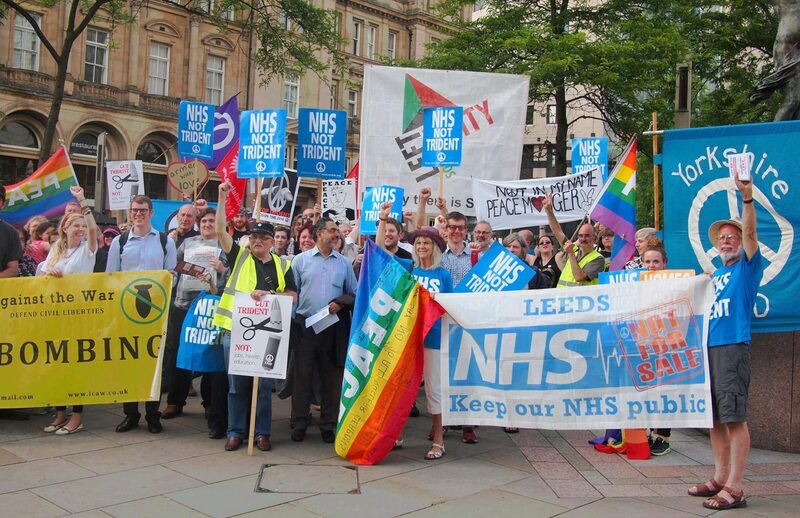 We’d like you to invite you to join us in Leeds to plan our priorities for the next year and beyond, where should workers and campaigners be focusing our efforts. 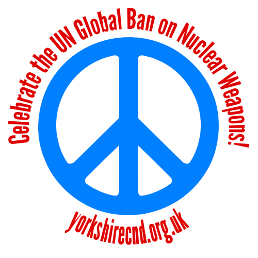 Yorkshire CND is the lead campaigner nationally on Missile Defence and Space Weaponry. A motion passed at our recent AGM called for us to mobilise campaigners around the region to Stop the DSEI arms fair in London in September. As a local ICAN group we’ve been working across the region, mobilising MPs to sign the Parliamentary Pledge and City Councillors to support the Cities Appeal – where to next? A new nuclear arms race has begun in earnest with the US withdrawl from the INF Treaty threatening the return of US nuclear weapons to bases in the UK. What is missing from that list? How can we campaign more effectively on these issues? This work by Yorkshire Campaign for Nuclear Disarmament is licensed under a Creative Commons Attribution 4.0 International License.